7" donburi/bowl made in Japan. Measures 3" high. The outside has layers of shades of darker blues. The inside has a blue and white wave pattern. 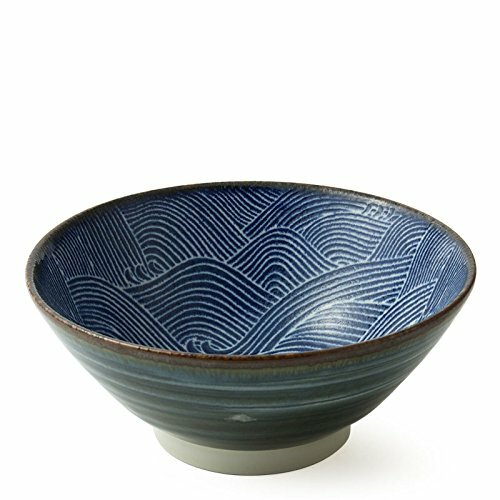 The traditional Japanese motif of the sea brings sophistication to this sophisticated set of bowls. This 7 inch bowl is perfect for ramen, pasta, fruit and more. If you have any questions about this product by Tansu, contact us by completing and submitting the form below. If you are looking for a specif part number, please include it with your message.